Before you can add an image to your email marketing campaign, you need to upload an image to the gallery. In the right pane, click the Images tab. 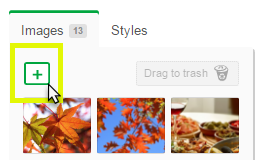 Under the Images tab, click the plus sign to browse for images. Click the image you want to upload, and click Open. 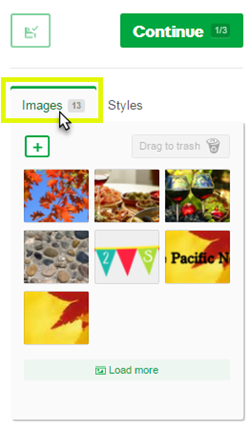 Your image will now appear in the right pane, on the Images tab. 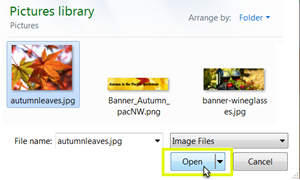 You can upload any .jpg, .png, or .gif file format. Your image should be in RGB colorspace, and not CMYK. Images should not be wider than 590 pixels. Keep the image file size under 200KB. Anything larger will bog down email when it is being sent and opened.